The Jewish world separated into two basic spheres following the destruction of the Second Temple by the Romans in 70 AD, due primarily to a language gap and a geographical divide, say two Israeli scholars in an article that has just been published. The schism that arose between eastern and western Jewries of that period, the authors say, provided a fertile ground for the early Christian preachings of Paul and the Apostles among the [anti-Pharisee Hellenist Tzᵊdoq•imꞋ] Jews of the west. 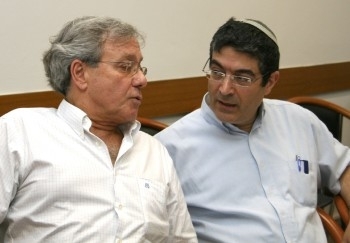 In presenting their argument, the authors, Prof. Doron Mendels of the Hebrew University of Jerusalem Department of History and Dr. Arye Edrei of the Tel Aviv University Faculty of Law, take issue with the accepted scholarly view that there was a basic, ongoing connection between the scattered Jews of that era. Mendels' and Edrei's thesis, which is based on research done while they were fellows of the Hebrew University's Institute for Advanced Studies, is presented in an article just published in The Journal for the Study of the Pseudepigrapha . Eastern Jewry, say Mendels and Edrei, incorporated the land of Israel, Babylonia, and other adjacent areas reaching up the Mediterranean coastline into Syria and down into eastern Egypt. Western Jewry included Asia Minor, Greece, Italy and the Mediterranean islands. In the east, write Mendels and Edrei, the period after the Temple's destruction was the time in which the oral law was developed, which much later was written down and codified into the Rabbinic literature of the Talmud. These writings form the basis of what became Halachic, or normative, Judaism. The languages of this oral and written tradition were Hebrew and Aramaic, the languages known to the Jews of the east. Since this tradition was not translated, continue the authors, the oral tradition remained unknown to the Jews of the west, who spoke only Greek. For them, Jewish tradition was conveyed solely through the Bible via the [Hellenist] Septuagint (LXX), the [Hellenist] Greek translation of the Bible. The result was that the Jews of the west remained largely ignorant of the vast lore of Halacha. [The most critical and far-reaching calamity is that these anti-Pharisee Hellenist Jews of Tzᵊdoq•imꞋ tradition – today's Ash•kᵊnazꞋim and Sᵊphâ•râd•imꞋ – thinking it was strictly an external matter, internalized the very linchpin of the Hellenist Christian Gospel: that the Christian Jesus was identical to the historical, 1st century C.E. Pᵊrush•imꞋ RibꞋi Yᵊho•shuꞋa. That Christian presumption of arrogating, redefining a 1st century historical Pᵊrush•imꞋ RibꞋi in the idolatrous feculence of a Christian cloak (see Zᵊkhar•yâhꞋ 3.3-6), is the innermost crux of the Christian Gospel!!! And today's heirs of the anti-Pharisee Hellenist Tzᵊdoq•imꞋ have this Christian Gospel indelibly ingrained in the absolute core of their belief system.] This dichotomy ultimately provided a fertile ground for the early emissaries of the Church, who created a communication network in the west that was lacking in Jewish society. The Jewish literature that did develop in the west was what became known as the Apocrypha and the Pseudepigrapha, works of dubious origin that were not considered by the rabbis to be of sufficient divine inspiration or influence for inclusion in the Biblical canon. While acknowledging the evidence that there were visits by rabbis of the post-Temple period to scattered communities, these communities were almost entirely within the land of Israel or Babylonia or adjacent areas, but hardly beyond that, say the authors. There were some rabbinic leaders who traveled to Rome, but their contacts there were mainly of a political nature with the rulers of the time. Mendels and Edrei cite numerous Jewish and non-Jewish scholarly references in amplifying their thesis of the "forsaking" of western Diaspora Jewry and therefore its isolation from the developing Rabbinic Judaism of the east. The authors refrain from dealing with the roots of this phenomenon or many of its implications, saying that they leave that for further examination by researchers. They do, however, conclude that a high price was paid for keeping the oral tradition (and later its redactive form) only in Hebrew and Aramaic, thereby losing in consequence a vast constituency that was not fluid in those languages. When we read of the sanctimony, abuses and collaboration of the anti-Pharisee 1st century C.E. Hellenist Tzᵊdoq•imꞋ with the Hellenist Roman occupiers vis-à-vis the Pᵊrush•imꞋ (target of nearly all of RibꞋi Yᵊho•shuꞋa's condemnations), today's demeanor and behavior of the Ash•kᵊnazꞋim and Sᵊphâ•râd•imꞋ vis-à-vis the Tei•mân•imꞋ, Bâ•vᵊl•imꞋ and Eid•ōtꞋ ha-Mi•zᵊrakhꞋ come into sharp focus as the natural continuation of anti-Pharisee Hellenist Tzᵊdoq•imꞋ religious-ruler tradition. For example, inter alia, when the Tei•mân•imꞋ arrived in Yi•sᵊr•â•eilꞋ from Yemen, many European Jews still refer to them as "primitive darkies"; they forcibly shaved off their pei•yotꞋ , took away their SeiphꞋër Tor•âhꞋ and even took away many of their children (and 2002 follow-up), telling them they had died in hospital; though many were later found to have been raised by Ash•kᵊnazꞋim. The Kha•reid•imꞋ are merely Ash•kᵊnazꞋim and Sᵊphâ•râd•imꞋ on steroids, no longer under the thumb of Roman occupiers. Just as the ancient anti-Pharisee Hellenist Tzᵊdoq•imꞋ collaborated with the Hellenist Roman occupiers to promote their own religious rule in the 1st century, today's heirs of the anti-Pharisee Tzᵊdoq•imꞋ collaborate with the secular – Hellenist – rulers in the Israeli government to maintain and promote their Tzᵊdoq•imꞋ Religious Rule Tradition today! 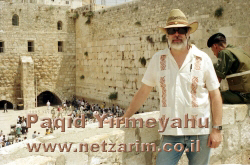 No longer under the thumb of Roman occupiers, Kha•reid•imꞋ are today free to unleash their latent racist and xenophobic Hellenist-Tzᵊdoq•imꞋ Religious-Rule Tradition as racist-ly, supremacist-ly and extremist-ly as secular Israeli politicians will stretch the envelop to ensure their own political power. These anti-Pharisee Hellenist Tzᵊdoq•imꞋ religious rulers are more corrupt today – and more abusive of the heirs of the Pᵊrush•imꞋ (moderate Orthodox Jews) – than when the Pharisee RibꞋi Yᵊho•shuꞋa rebuked them back in the 1st century C.E.!!! The manic obsession of the Kha•reid•imꞋ with deranged and uncontrollable hate-mongering toward Jesus and Christianity (just another idolatry and persecutor, not even A•mâ•leiqꞋ, Hâ•mânꞋ or Εd•omꞋ much less Sâ•tânꞋ personified), mostly kept within rational limits among the Eastern heirs of the Pᵊrush•imꞋ, is further confirmation of the continuation of the 1st century anti-Pharisee Hellenist Tzᵊdoq•imꞋ collaboration of the Boethusian family Herodians with the Roman occupiers to convene an illegal (nighttime and even on a khag) anti-Pharisee Tzᵊdoq•imꞋ sanhedrin Hellenist court to convict – on false charges – what Herod feared to be a potential rival "King of the Jews" – RibꞋi Yᵊho•shuꞋa! The Christian Διαθηκη Καινη (NT) is bound in the same codices with the LXX to comprise the Christian "Bible". It is this coinciding of Christianity and LXX that ingrained the linchpin of the Christian Gospel within the anti-Pharisee Hellenist Tzᵊdoq•imꞋ who fled north and west to Hellenist Greek-speaking countries – Turkey, Greece, Rome and then Europe: that this Greek "Bible," inextricably linked to LXX, contra-historically defined the Christian Jesus to be identical with, lᵊ‑ha•vᵊdilꞋ, the 1st century C.E. תּוֹרָה-teaching Pᵊrush•imꞋ RibꞋi Yᵊho•shuꞋa. Thus, the irremediable hatred among the heirs of the Tzᵊdoq•imꞋ for a 1st century תּוֹרָה-teaching Pᵊrush•imꞋ RibꞋi Yᵊho•shuꞋa depends on the anti-Pharisee Hellenist Tzᵊdoq•imꞋ tradition of European Hellenist LXX Gospel – and today, primarily, depends primarily on the heirs of the anti-Pharisee Hellenist Sadducees – Ash•kᵊnazꞋim and Sᵊphâ•râd•imꞋ.